If you are looking for the series that starts on Wednesday, May 1st, or Wednesday August 28th with Annemaria, please check out this page instead. Appropriate from 6 weeks – 2 years postpartum. Pre-crawling babies are welcome. You grew a baby and gave birth to it, be it vaginally or by cesarean birth. You, and your body, are amazing! However, bringing life into this world doesn’t come without a impact to the body. If you notice that your core, and/or your pelvic floor, are different than before — perhaps you notice more bulge in the midline of your tummy, or more low back problems than before, or you have a harder time ‘holding it’ before making it to the bathroom — you very well may find this specialized core rehabilitation program to be an important aspect of your self-care. 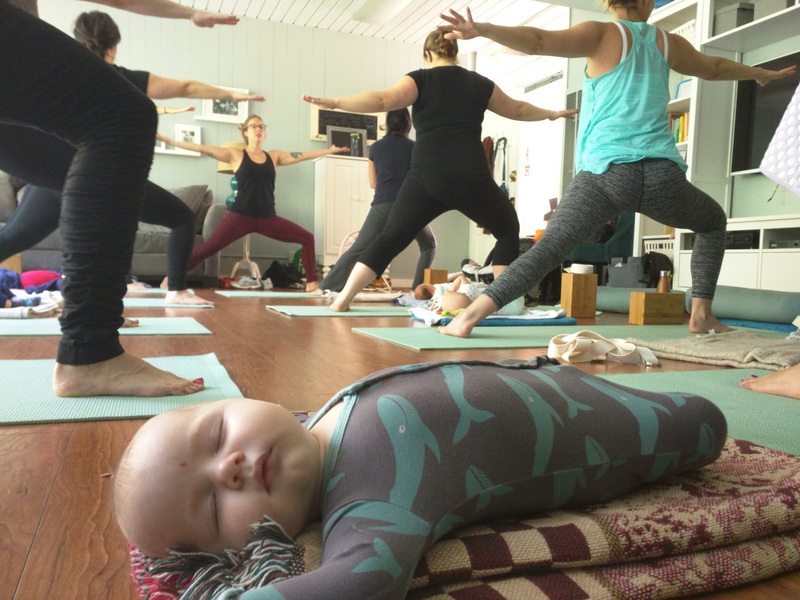 Torrey Mansur (RYT-500, RPYT) is a dedicated student of yoga, yoga teacher, life enthusiast, and mama. She teaches Hatha, Restorative, Therapeutic yoga, Prenatal yoga and Postnatal yoga all around the San Francisco Bay Area. Her classes are regarded for being alignment based, yet playful opportunities to connect with your body and have an authentic experience. She truly believes that yoga is available to everybody, and she is eager to share this healing practice with the world, one breath at a time.